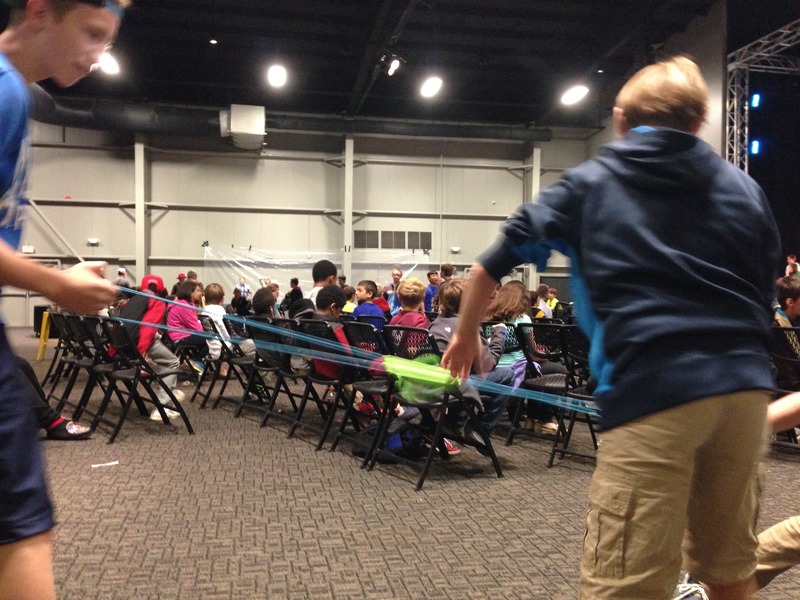 A relay race that incorporates two aspects that students love: launching something & eating something! 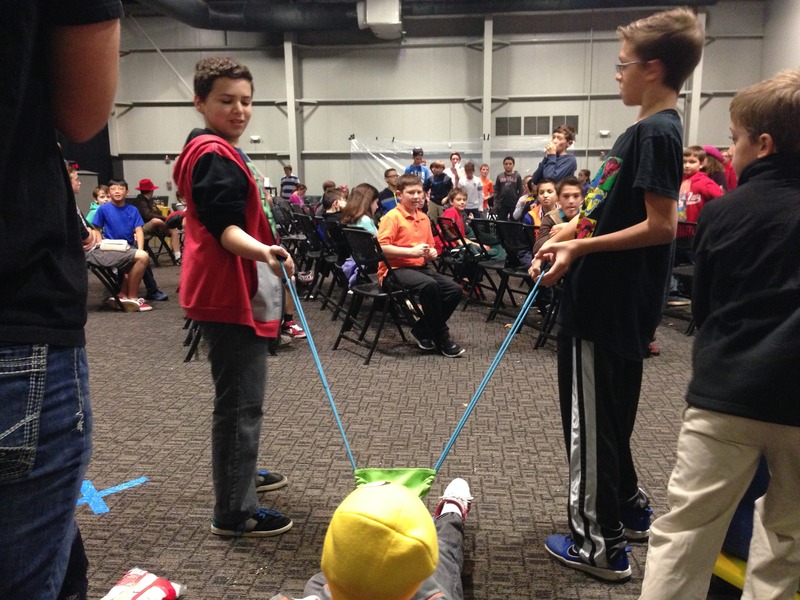 A game that utilizes a team of 5 students to launch, catch, and eat a marshmallow, then return to the launch station. First team to complete all the stations wins! 2. Extra Large Marshmallows. You know the ones that make terrible S’mores, but are great for launching. 3. Tub Racers. You can learn how to build them HERE. Place the water balloon launchers and marshmallows on one side of the room and the tub racers on the other side of the room. That’s it. It’s a super easy set up. Here’s how it works. You will need teams of 5: 3 to be apart of the launch team, 1 to catch and eat the marshmallow, and 1 to push the tub racer. It starts with the launch team. They must launch the marshmallow across the room to the person who then eats it. You can make it as difficult as you want. (i.e. The person must catch the marshmallow that is launched without it hitting the ground, or you can just do what we did, and they just have to get it and eat it after its launched.) 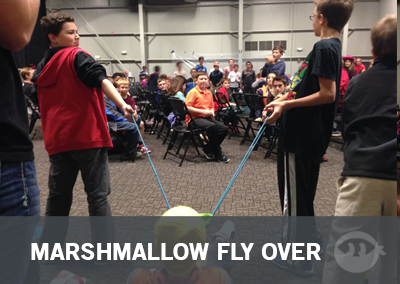 Either way, the marshmallow is launched across the room and eaten by the 4th member of the team. After they consume the marshmallow, they must get into the tub racer and meet the launchers back at the launch site. First team to assemble at the launch site is the winner.